I kinda, sorta, really loved this outfit when I was wearing it. 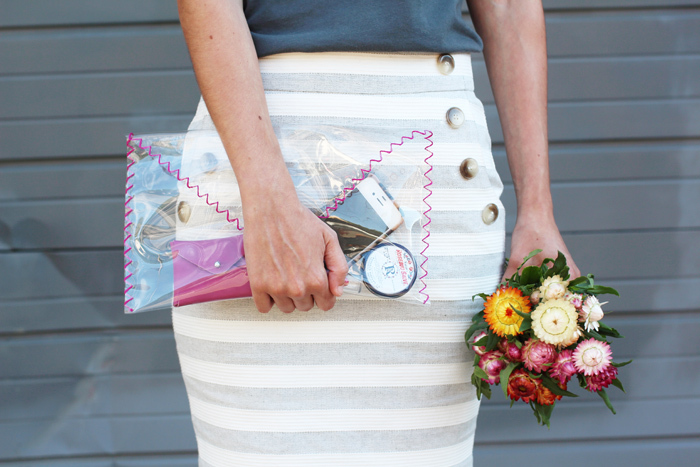 I don’t know if it was the great fitting skirt, new comfy tee from a company I love, the fresh farmers market flowers, or the brand new DIY bag that I had just finished. Or all of the above. But I was loving it. 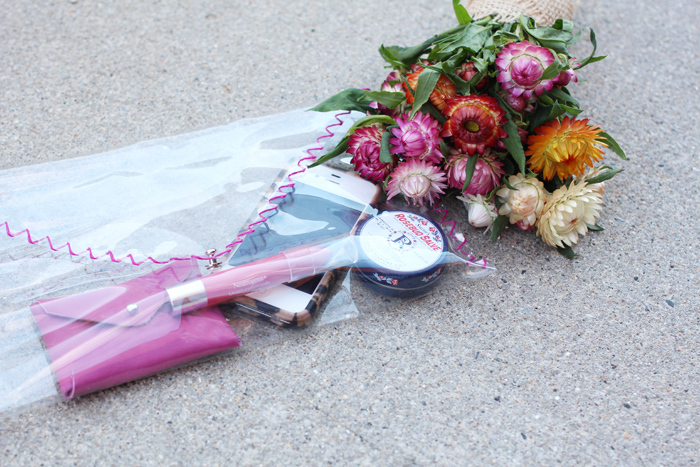 P.S - check back tomorrow for the clear PVC clutch DIY! P.P.S - when did my sneakers get so dirty?! I don’t remember getting them that filthy. yikes.